Aaltex International is the manufacturer and exporter of jute products, cotton products, canvas products and other textile products like Apron and Gloves. Aaltex International is the supplier of Jute shopping bags, Jute designer bags, Eco friendly Jute conference bags, Jute promotional bags, Jute Laptop Bags, Jute Corporate Bags, Jute cosmetic bags, Jute beach bags, Jute wine bags, Jute laundry bags, Jute garbage bags, Jute Christmas bags, Jute tote bags, Jute wallet, Jute bottle bags, Jute jar bags, Jute tray, Jute printed bags, Jute gift bags, Ladies jute handbags, Jute fancy bags,Jute wine bags etc. We are also the manufacturer of baby rompers, children garments ,babybips ,baby caps, baby hats. 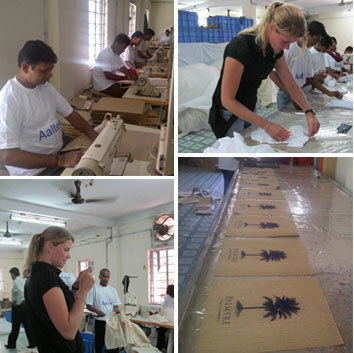 Marching ahead on its path Aaltex International is today recognized as an industry leader in manufacturing and exporting jute bags, canvas bags and other textiles made-ups. Using the rich experience and vast knowledge in the domain Mr. Sanjay Dhelia started the company in the year 2000. Ever since its inception, the company has marched ahead to ablaze new trails. These products of the company are designed in adherence to prevailing fashion trends, eye catching designs and distinctive appearance. Aaltex International having Jute Productsof Leading reusable Eco friendly shopping bags and promotional bags manufacturer in india.We are also the exporter of 100% Eco friendly bags like Jute bags, Cotton bags, Canvas bags & Jute Cotton Bags from Kokata,India. Our product includes Tote Bags, Promotional Jute Bags, Jute Shopping Bags, Jute Beach Bags, Jute Wine bags, Jute Gift Bags, Cotton bag, Cotton tote bag, Cotton Drawstring Bags , Cotton pouch bag, cotton sea beach bag made of cotton bag 10oz , canvas bag 12oz , cotton canvas bag 14oz. We manufacture only Eco friendly products, using natural &ecofriendlyfibres such as Jute, Cotton or Canvas. Jute product was designed by a group of colleague inKolkata, India. India is very famous as a jute producer. Hence,the world's most active location for jute products. To protect our environment from the use of harmful plastic bags ,we are manufacturing our Eco friendly products made of jute, the golden fibre of nature. Jute is totally biodegradable plant based fibre. Aaltex Is committed to provide best products and services to our clients.This is only possible if we can listen to the clients carefully and can provide them with premium quality products at a reasonable price. We are a professionally managed company that believes in customer satisfaction as the key to success. We are leading jute bags & cotton bags manufacturer in Kolkata, India. We are also wholesaler, supplier and exporter of recyclable jute bags, canvas bags, jute cotton bags, cotton bags and many more. Aaltex have a dedicated designing team that can help you in customizing all kind of jute bags, jute products ,cotton bags and cotton products as per your requirements. We can print your logo or design on our bags to promote your company/brand. You can also choose from wide selection of colours, sizes, shapes, fabrics quality and fabrics type. We provide our clients with our best products and good quality packaging. We carry large variety of bags that appeal to the users.The driving force behind the working of the company is the commitment to perform and excellence to deliver. This is assisted by a highly trained, motivated and professional staff who give in their best to meet the exact customer requirements. The quality control department is manned by specially trained expert staff and each product is subjected to comprehensive inspection and functional checks. With innovative concepts the company prides itself in providing the cost effective products to meet the specific requirements of the company. The forerunners at Aaltex International always believe and stand by that one axiom "Do not dream of success, work out for it". Our values inspire our actions and behaviour and distinguish us as a company which believes in embellishing each of its product with creativity, innovation and a zeal to see that wow smile on its customers face. Copyright © 2019 AALTEX. All rights reserved.